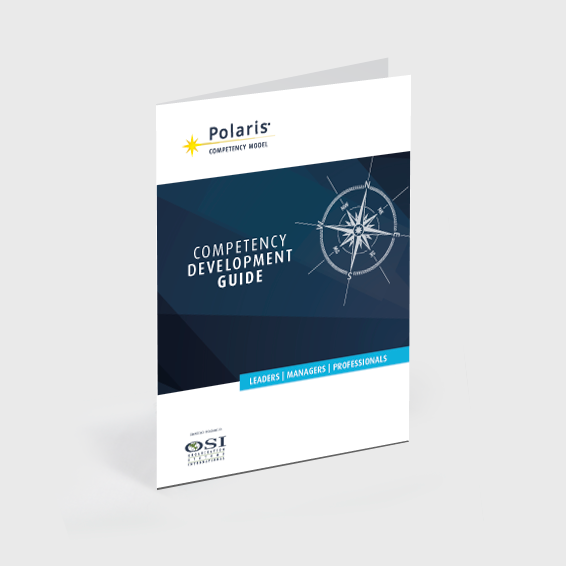 The Polaris® Competency Model Development Guide (version 4.0) compliments the Polaris® Competency Model Card Set and 360° survey process by providing specific developmental suggestions for each of the 41 Polaris® competencies. It also contains ideas and tools for analyzing strengths and weaknesses and for setting developmental goals. This version also highlights the subset of Polaris® Competencies (The Big Six) that have been found to predict exceptional performance in front line leadership roles.